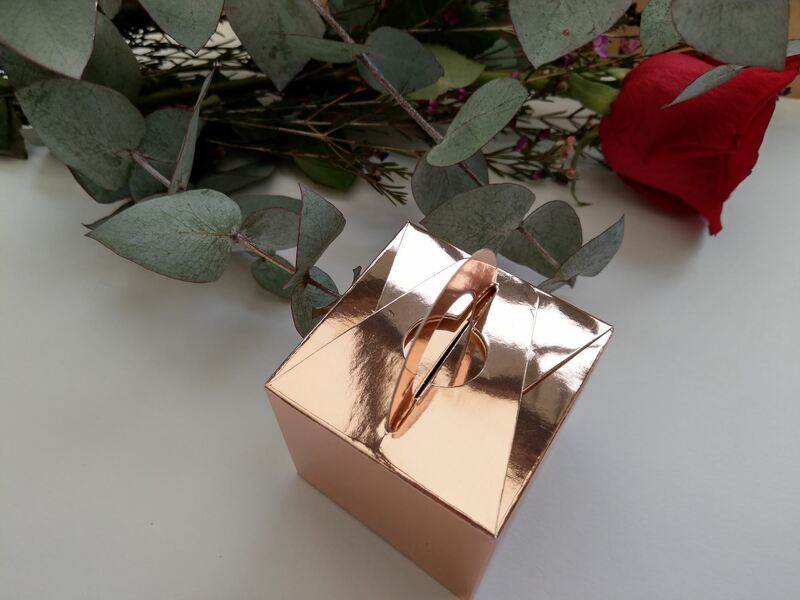 These Wedding Favour Boxes is the perfect DIY favour boxes for your special event! 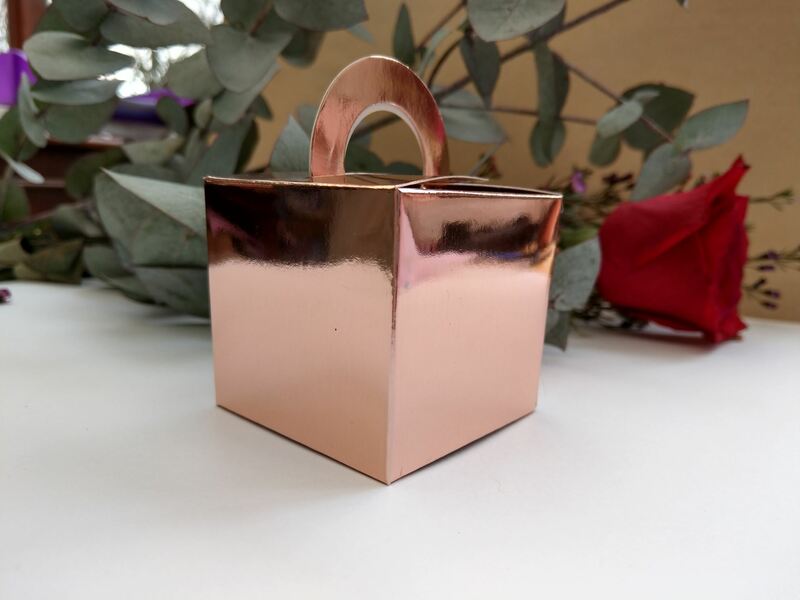 Give your special day a gilded finish with our Rose Gold Favor Boxes! 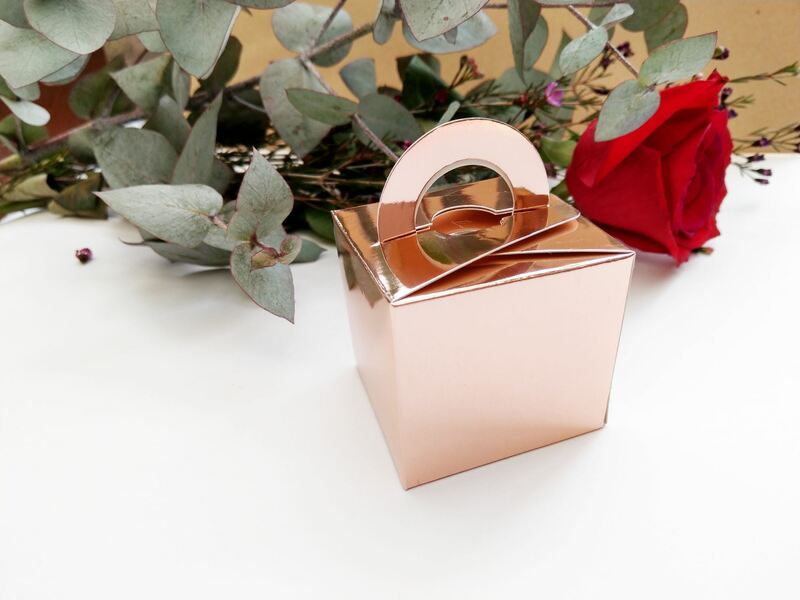 These favor boxes feature a glamorous Rose Gold. With ribbon or without, your preferred candy or favors get a presentation that shines as brightly as your love. 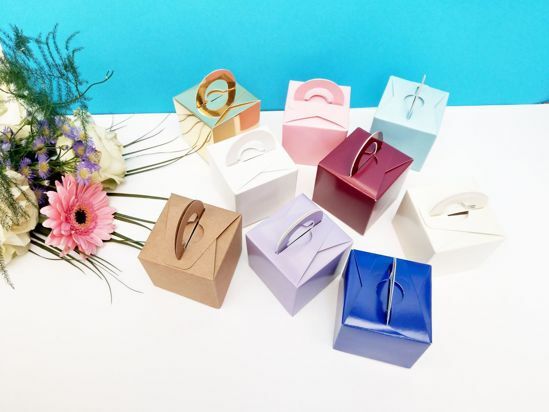 Simply fold the bottom and put together the handles, fill them with wedding favors, adjust some ribbon and set them out for your wedding guests to enjoy! The boxes come flat packed & each measure 65mm x 65mm x 65mm. Sample 1 box in color of your choice. DIY Requires, easy to assemble.